Lewis, Jules. "Richard Wagamese". The Canadian Encyclopedia, 10 December 2018, Historica Canada. https://www.thecanadianencyclopedia.ca/en/article/richard-wagamese. Accessed 20 April 2019. Richard Wagamese, Anishinaabe (Ojibwe) novelist, journalist, mentor (born 4 October 1955 in northwestern ON; died 10 March 2017 in Kamloops, BC). A well-known Indigenous writer in Canada, Wagamese won several awards including the Canada Council for the Arts Molson Prize (2013) and the Writers’ Trust of Canada’s Matt Cohen Award (2015). His works speak about the historical and contemporary socio-economic issues affecting Indigenous communities in Canada. They also bring attention to issues regarding Indigenous identity, culture and truth and reconciliation. A beloved writer, Wagamese’s works have inspired many Indigenous and non-Indigenous peoples and writers alike. 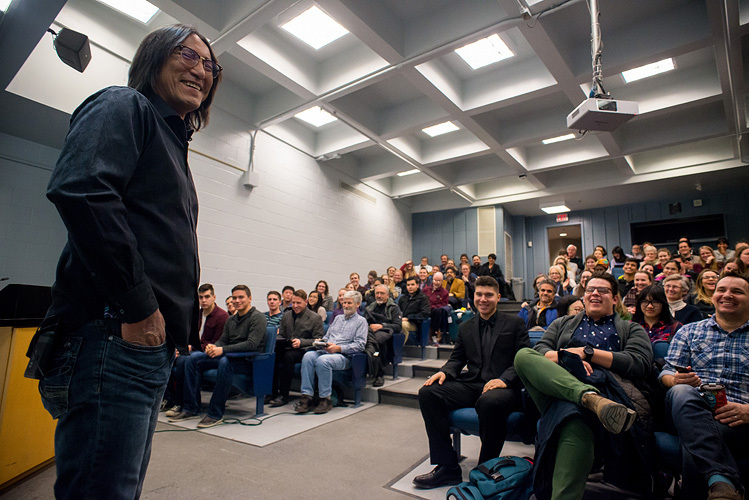 Author Richard Wagamese giving a lecture at Queen's University in Ontario (2016). 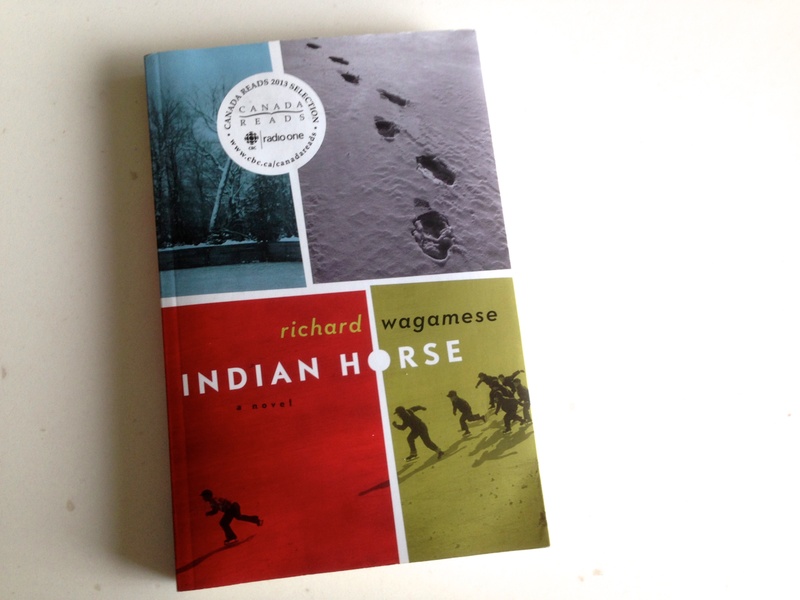 Richard Wagamese's novel, Indian Horse (2012). Richard Wagamese was born to Marjorie Wagamese and Stanley Raven of the Wabaseemoong Independent Nations. (See alsoFirst Nations.) His family followed the traditional lifestyle of the Ojibwe people, fishing, hunting and trapping. His first home, as he recalls in his essay “The Path to Healing,” in One Story, One Song (2011), “was a canvas army tent hung from a spruce bough frame.” As a toddler, he lived communally with his parents, siblings, his maternal grandmother, uncles, aunts and cousins. When he was almost three years old, his parents left him and his three siblings alone in a bush camp for days while they were drinking in a town about 96 km away. Cold and hungry, the children managed to cross a frozen bay to seek shelter in the small railroad town of Minaki, where a provincial policeman spotted them and dropped them off at the Children’s Aid Society. From there, the siblings were taken away in what is known as the Sixties Scoop, a government program in Canada that aggressively “scooped” Indigenous children from their homes and placed them into foster care. Wagamese continued to live on the streets for a number of years, struggling with alcohol, drugs and post-traumatic stress disorder from the abuse and alienation that had marked his young life. He spent time in jail, lived all over Canada and worked countless jobs. “At times I have been a tree planter, a ditch digger, sugar beet picker, farm hand, railroad crew labourer, dish washer, fish cleaner, marina helper and a big rig washer,” he wrote in an essay for the Yukon News on 30 September 2009. Wagamese landed his first reporting job in 1979 with an Indigenous newspaper in Regina called The New Breed. He would go on to write a popular Indigenous affairs column for the Calgary Herald, and also work as a television and radio broadcaster. In 1991, he became the first Indigenous writer to win a National Magazine Award for column writing. His debut novel, The Keeper’n Me, was published in 1994 and won the Writer’s Guild of Alberta award for best novel. This marked the beginning of a prominent and prolific literary career. Wagamese went onto publish eight more novels, one collection of poetry and five works of non-fiction, including anthologies. His harrowing and darkly comic 2012 novel, Indian Horse, about a survivor of a residential school with an extraordinary gift for ice hockey, was a finalist on CBC’s Canada Reads, where it won the People’s Choice award. Indian Horse was adapted into a film in 2017 by writer Dennis Foon and producers Christine Haebler and Trish Dolman. Wagamese lent his literary talents to the CBC as a scriptwriter for the television show North of 60, which was co-produced with Alliance Atlantis. He also served as a writer for the federal government’s Royal Commission on Aboriginal Peoples in 1996. 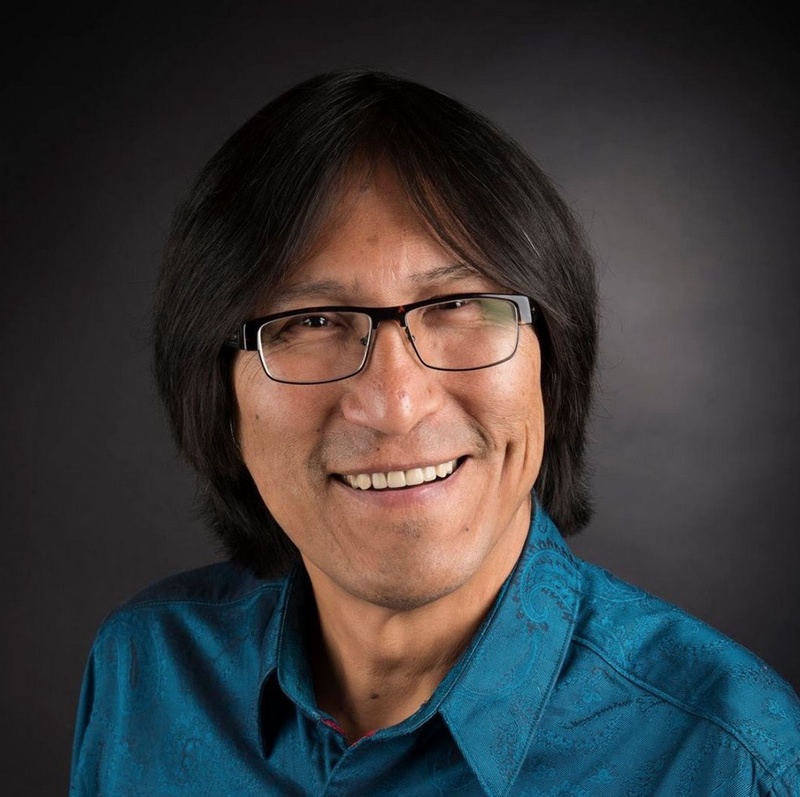 In addition to writing, Wagamese lectured on creative writing at various universities, and was a faculty advisor on journalism at the Southern Alberta Institute of Technology and Grant MacEwen Community College. Richard Wagamese died on 10 March 2017, at his home in Kamloops, British Columbia. He was 61 years old. Wagamese’s close friend Shelagh Rogers, host of CBC Radio One’s The Next Chapter, told the Globe and Mail on 11 March 2017 that he was working on a sequel to Medicine Walk (2014) before he died. His last book Embers: One Ojibway’s Mediations (2016) was nominated for a Bill Duthie Booksellers’ Choice Award just one week before his death. In August 2018, a book Wagamese was working on before he died — Starlight — was released. Wagamese leaves behind his two sons, Jason and Joshua; his grandchildren; his life partner, Yvette Lehman; and other family members and friends. Richard Wagamese’s debut novel, Keeper’n Me won the Alberta Writers Guild Best Novel Award in 1995. Wagamese also won the Canadian Authors Association Award for his novel Dream Wheel in 2007 and the George Ryga Award for Social Awareness in Literature for his memoir, One Story, One Song, in 2011. In 2012, he was the recipient of the National Aboriginal Achievement Award (now Indspire Award) for Media and Communications, and, in 2013, he received the Canada Council for the Arts Molson Prize	and the Burt Award for First Nations, Métis and Inuit Literature. 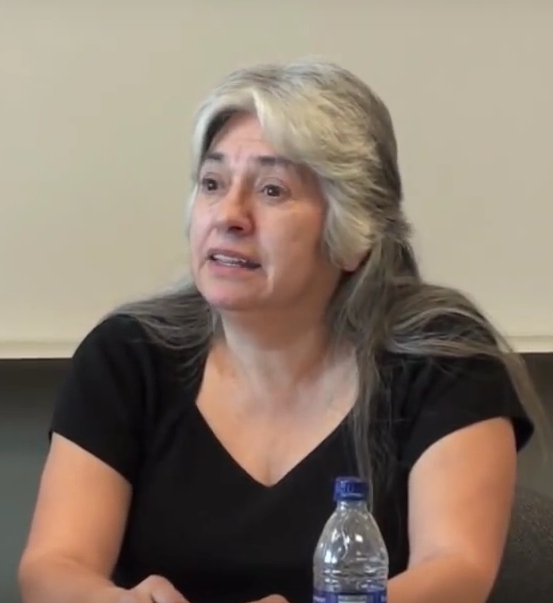 Wagamese was given an Honorary Doctor of Letters degree from Thompson Rivers University in Kamloops in 2010, and was the Harvey Stevenson Southam Lecturer in Journalism at University of Victoria in 2011. Cheri Hanson, “Richard Wagamese: A Long Journey,” Quill and Quire (April 2014).